In a year where rap easily dominated as music’s top genre, Pusha T’s 21-minute, seven-track “Daytona” album moved the needle and became one of the most successful hip-hop projects of the year, he won his rap beef with Drake and he earned a Grammy nomination for best rap album. He reached new heights this year when he exposed Drake on “The Story of Adidon” (Drake never responded to the burning diss track). The Kanye West-produced “Daytona” soon followed, debuting at No. 3 on the pop charts and landing on several critics’ year-end lists. 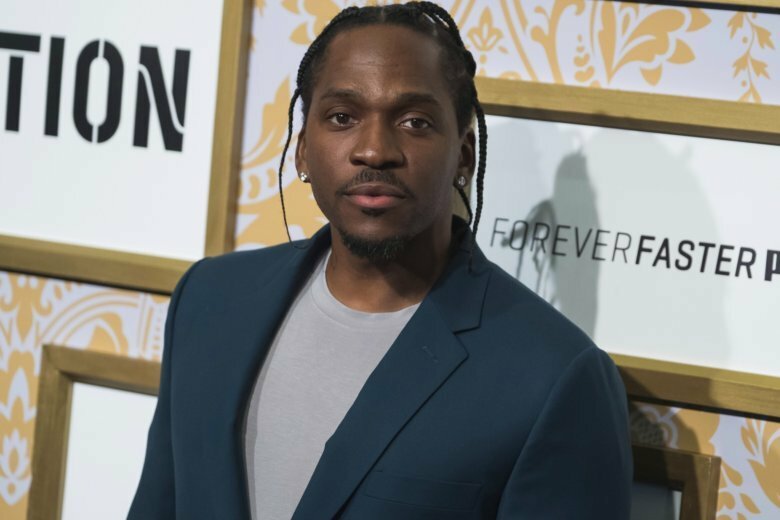 In an interview with The Associated Press, Pusha T discusses his Grammy nomination, Drake’s omission from the best rap category, West’s recent tweets and more. AP: What does it feel like to see “Daytona” up for best rap album? Pusha T: Man, for me the Grammy nomination is just the icing on the cake. …I remember, like, being young, super-young and looking at the Grammys, I used to never see my favorite rappers up there… As I got older, and my favorite rappers were being nominated, they went through a whole boycott period. I remember rappers boycotting the Grammys. Then, ultimately, time moves on and I got to see some great ones — Jay-Z, Kanye West — receive a Grammy. To be nominated for what it is that I do, and what I’ve done — I’ve been very consistent for what I’ve done in the rap game — it’s amazing. I don’t know if there’s ever been any rapper who has embodied the streets so much and with this level of content and this level of pure artistry (that’s been nominated for a Grammy). I don’t know. This is really just the streets talking right here. Pusha T: Sometimes you have to change the silhouette. I feel like that’s what we did, we changed the silhouette. And I guess seven tracks isn’t… time-wise, it does say it’s eligible. I don’t think anybody left feeling unfulfilled. As I look at all these top 100 lists, top 50 lists, like, “Damn, ‘Daytona’ is always in the top 3, top 5, 1, here and there.” I feel like everybody was fulfilled. Pusha T: I actually liked Jay Rock’s album a lot. I probably was on record with that one, too. He’s probably one of the ones that I felt like really put together a really strong project, rap-wise. Pusha: I felt like Kanye getting a producer of the year Grammy nomination is due in part to his output and how he had to turn into a chameleon to do all these albums. I definitely felt like Teyana (Taylor)’s album was super-strong and could have definitely deserved a Grammy. In being fair, I do feel like my album was the most dialed-in, and just laser-direct for a category. I feel like my album really hit the rap category directly. If you look at the (Kid) Cudi project, Cudi and ‘Ye project “Kids See Ghost,” or the ‘Ye (solo) project, I don’t know exactly. I think those two projects could have danced in a few different categories. AP: Were you surprised to not see Drake’s album in best rap album? Pusha T: No. I wasn’t surprised. I think everybody needs to stay in their respective category. I don’t think me and him are in the same category. AP: When you released “The Story of Adidon,” were you afraid that it would overshadow the “Daytona” album? Pusha T: That was a concern during that whole time. That was a concern. I always felt that I had rap album of the year. I always knew it. That was a bit of distraction in regards to me being able to campaign that from the day that I put out the album up until something like the Grammys. That was a bit of a distraction. We were sort of strategic about that. Very strategic on how we discussed it and what we talked about, because that wasn’t part of the album. That was extra credit. Pusha T: We’ll see in 2019. Pusha T: Certain things I’m just not going to speak on because that’s not part of my DNA. But, hey, Kanye’s fine, man. He’s fine. He was just talking on Twitter, doing what he does.